All military veterans face challenges when it comes to returning to civilian life, but as the conservative media outlet Newsmax.com pointed out in a recent story, the growing number of female veterans must cope with some unique ones. “Women veterans will sometimes place themselves beyond the reach of help,” according to the story. “We have found that women veterans underutilize VA care, largely because of a lack of knowledge about VA benefits and available services,” the agency’s chief consultant for women’s health services wrote in 2013. The DAV report found unemployment among recently discharged female veterans running more than a point above jobless rate for male service members in 2013. 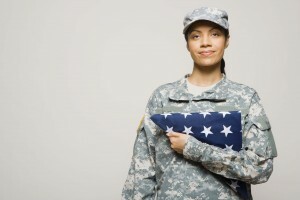 Female veterans were no more likely to suffer from PTSD than male veterans, according to a 2012 VA study published in the Journal of Psychiatric Research. Yet they were the fastest-growing segment of the veteran homeless population, the U.S. Department of Housing and Urban Development (HUD) reported in 2011. A remarkable research project is under way that will enable veterans, who have given so much to their country, to give even more. Recently, U.S. Department of Veteran Affairs Secretary Bob McDonald brought to 441,196 the number of those volunteering for the Million Veteran Program. “To me the Million Veteran Program is one of our premier research programs,” McDonald said. “It’s fundamental to the precision medicine initiative that the president has been leading. The group targeted is a very special one, and not only for what they have done. The samples are stored in a secure VA central research program database and are labeled with a code. Researchers who are approved access to analyze samples and data will not receive the name, address, date of birth or Social Security number of participating veterans. All across the country, according to a recent article on the website employerroadmap.org, officials in human resources departments for major corporations are catching on that hiring veterans is not only the right thing to do, but also a wise move. Employerroadmap.org is a program of the U.S. Chamber of Commerce Foundation. The piece goes on to describe several instances where this turnabout is taking hold, including at La Quinta Inns and Suites, based in Irving, Texas. 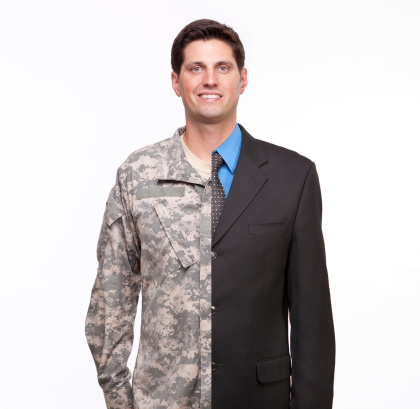 There, the members of the talent acquisition team have created a guideline for hiring veterans and their spouses. Veterans often argue that while their military experience translates well to the private sector, it’s often difficult to get this across. Among the scams cited in the blog are people posing as officials with the Veterans Administration seeking to obtain personal and financial information. “Don’t provide personal or financial information, including Social Security number, driver’s license or bank or credit accounts, in unsolicited phone calls or during visits from self-described employees of the Department of Veterans Affairs; it’s fraudsters who are asking under the guise of supposed policy changes for dispensing drugs or receiving benefits,” Kirchheimer writes. Bogus charities are another strategy of criminals targeting members of the military and their families. “Before donating, verify charities by checking their names and reputations at the Wise Giving Alliance, operated by the Better Business Bureau, Charity Navigator or GuideStar,” the blog advises. 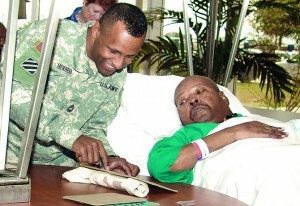 Veterans deserve special treatment for the sacrifices they have made in serving their country. They also often have special problem as a result of their military experience, and that’s why there is a growing trend across the country to create special courts to deal with ex-servicemen and women. “Most veterans are strengthened by their military service, but the combat experience has unfortunately left a growing number of veterans with Post-Traumatic Stress Disorder and Traumatic Brain Injury,” according to a website devoted to Veterans Treatment Courts. The site estimates that one veteran out of every five has symptoms of a mental health disorder or cognitive impairment. One in six who served in Operation Enduring Freedom and Operation Iraqi Freedom suffer from a substance abuse issue. “Research continues to draw a link between substance abuse and combat–related mental illness,” the article continues. “Left untreated, mental health disorders common among veterans can directly lead to involvement in the criminal justice system. Because the legal issues faced by veterans can be so complex and particular, the American Bar Association has a Coordinating Committee on Veterans Benefits and Services. Many who serve on the panel were themselves in the military and approach the legal problems from their own experiences. “The challenge is huge, but the ABA has stepped up,” Paul Freese, co-chairman of the committee, is quoted as saying on the association’s website. Freese was among those who participated earlier this year on the “Serving Those Who Served: A Roundtable Discussion on Meeting the Legal Needs of Veterans” at the 2014 ABA Midyear Meeting in Chicago. “Meeting speakers focused on success stories including two programs from Chicago that aid veterans in need,” according to the article. The Chicago Child Support Project, which seeks to help homeless veterans facing huge child support burdens, was also highlighted. 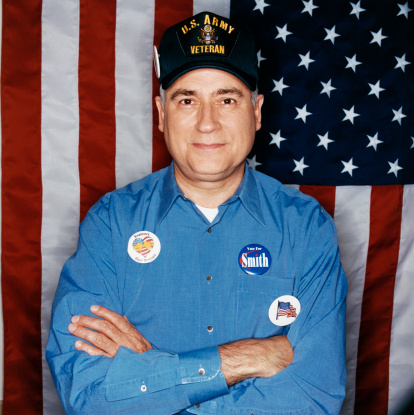 Veterans may receive assistance from anyone at all in making claims for benefits – but only once. After that, according to federal law, the person offering the help must be accredited as either an attorney, agent or representative of a service organization, as noted on the website longtermcarelink.net. “Federal law dictates that no one may help a veteran in the preparation, presentation and prosecution of an initial claim for VA benefits unless that person is accredited,” according to the article.” The only exception to this law is that any one person can help any veteran, one-time only with a claim. To help any veteran a second time requires accreditation. This is not, the article points out, a prohibition on a veteran talking about his or her claim with a spouse, other relative or friends. 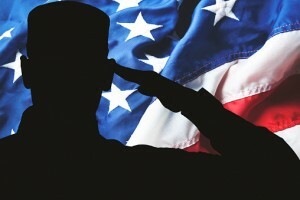 “The point at which discussion narrows down to specific information about the veteran’s service record, medical conditions, financial situation including income and assets and other issues relating to a claim specific to a veteran or dependent triggers accreditation,” according to the site. Recent revelations about the myriad failings of the Veterans Administration to address the physical health of many who served their country have overshadowed the quality of care those who do manage to get treated receive. A posting on the website of California-based The SCAN Foundation, “an independent, non-profit public charity devoted to transforming care for older adults in ways that preserve dignity and encourage independence,” a few years ago points out a VA failing that may be just as problematic for servicemen and women. Cognitive problems include issues with memory, confusion and concentration.